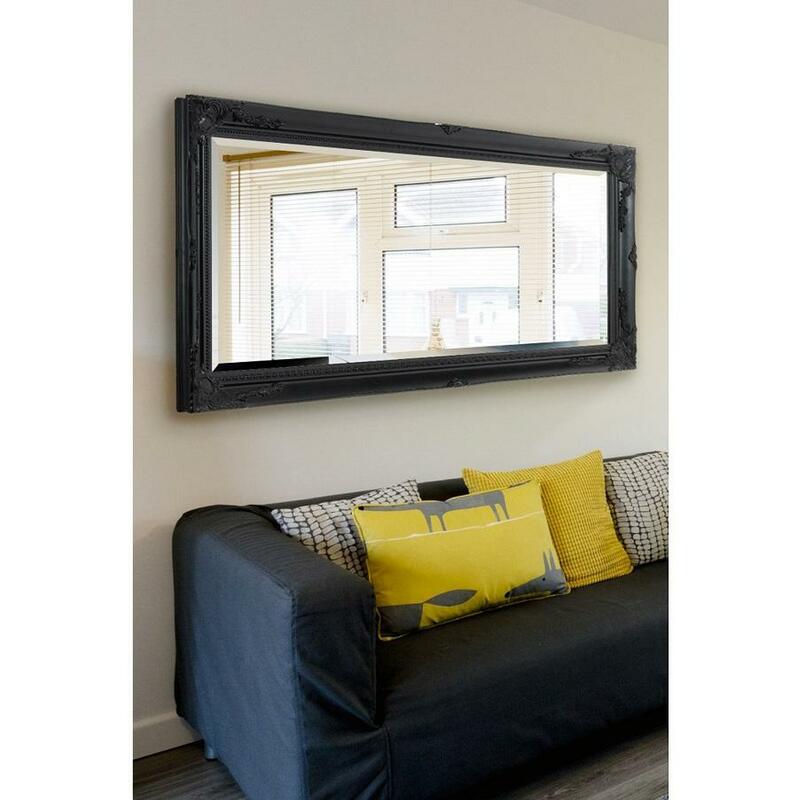 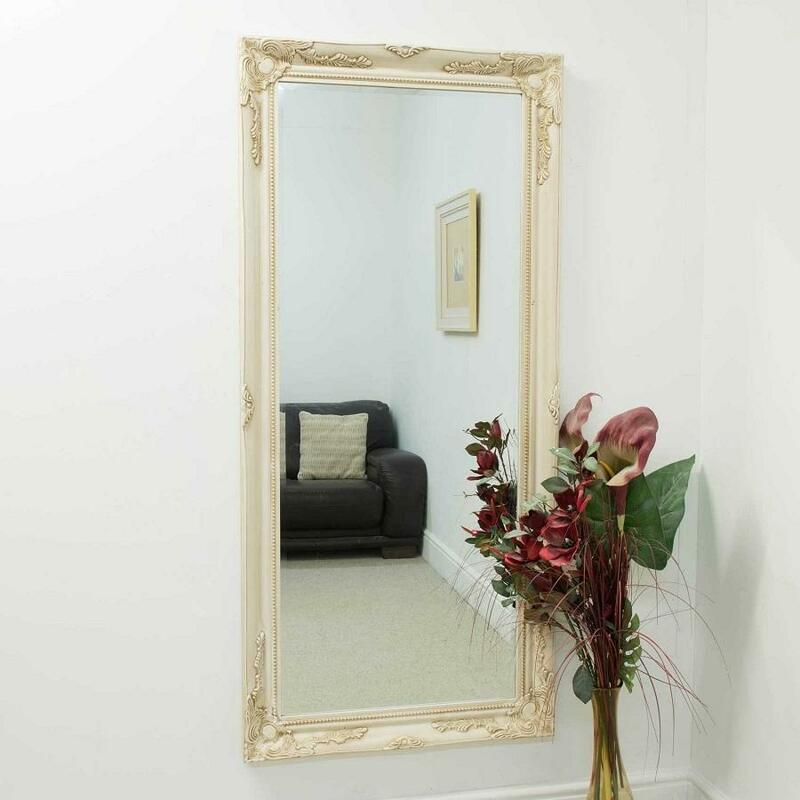 A large 4" classic hand finished full length french style mirror. 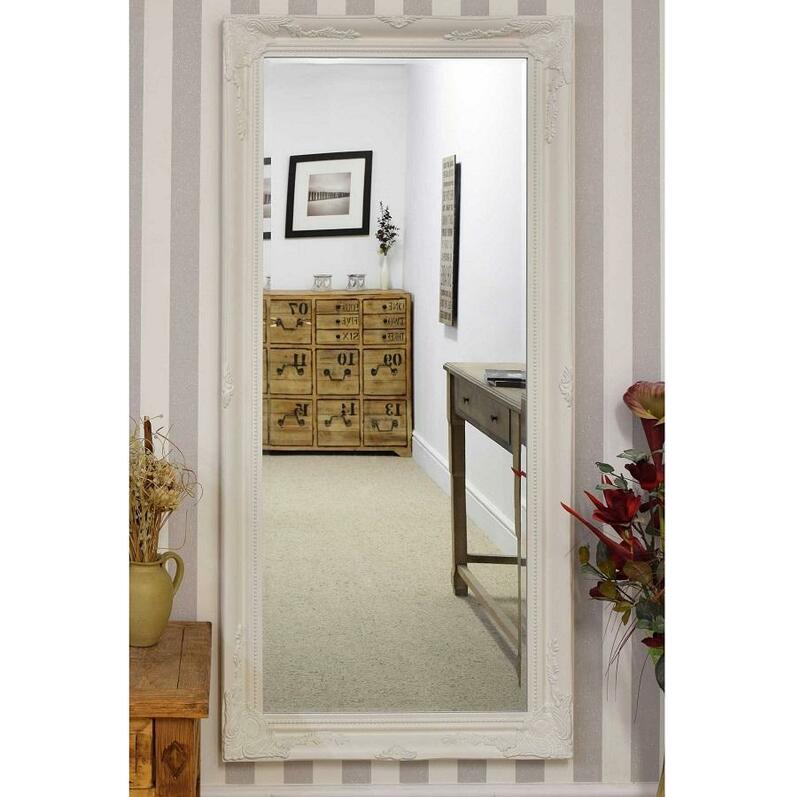 The design boasts ornate detailing in all four corners and sides. 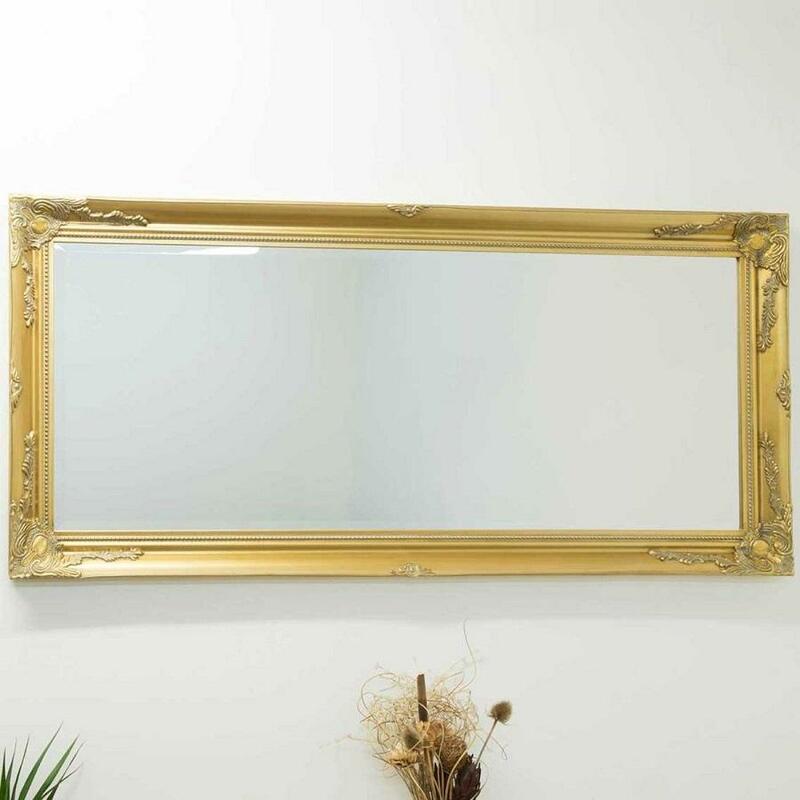 The mirror glass itself comes bevelled.